There’s a new FREE coupon site on the block – it’s called Hopster! This one is a little different than the other FREE coupon sites out there. Hopster gives you the opportunity to score FREE high-value printable coupons for your favorite household brands. You can print the coupon at face value, OR you can complete simple activities to earn points which you can use to increase the value of your coupon. You can earn points by sharing offers via social media, signing up for brand newsletters, watching videos, posting reviews, even redeeming coupons. Take your coupons to any store. Missed an expiration date? No worries, there’s always a coupon available on Hopster. Start a quest to earn points and unlock high-value reward coupons. The more you do on Hopster, the more points you earn. Convert your points to extra savings on coupons. Share your custom coupon for even more points. Hopster also has some great unique coupons that are not seen with other Printable Coupon companies as well. Check out what coupons Hopster has to offer. 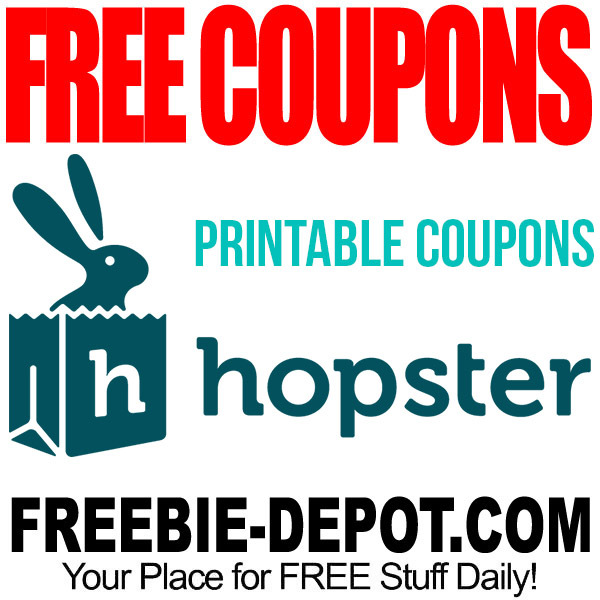 Get FREE printable grocery coupons from Hopster.